Amidst all the less-than-positive responses Big Bang members’ recent releases have been receiving, this author thinks it’s high time to focus on the positive, namely: Daesung’s ridiculously wonderful venture into Japanese trot. While other Big Bang members have been off behaving like good boys, living life in the fast lane, taking off their shirt for the first time, and featuring on questionable Skrillex tracks, Daesung has seemingly been having a blast in Japan. His most recent Japanese mini album, D-Lite, released in October, has been met with considerable success. Daesung has always had a flare for the more humorous and kitsch side of Korean entertainment, as evident by his legendary appearances on “Family Outing,” his role as Rum Tum Tiger in Cats, and most importantly, his enjoyment of Trot music. Daesung throughout his career has made no secret of his interest in Trot, even jokingly considering it an option post-Big Bang. His first Korean Trot single, “Look at Me, GwiSoon!” was produced by G-Dragon in 2008 seemingly on a whim. What initially may have been a one-off experiment in 2008 has proven to be a more profitable venture for Daesung come 2014. 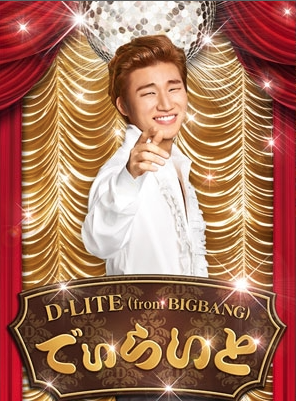 Daesung (or D-Lite as he is called in Japan) began his solo Japanese career in 2013 with his first solo album, D’scover, followed by D’solve in 2014. Not only did the albums sell relatively well, but Daesung also held multiple solo concerts throughout Japan, which had over 100,000 attendees in total. 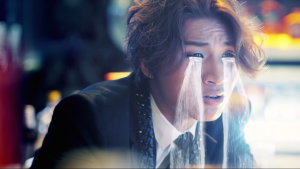 In the wake of these successes, YGEX announced that Daesung would be releasing a special mini album in October of 2014, consisting of Japanese versions of his Korean Trot releases as well as two Japanese Enka covers. The main single of the new mini album is a Japanese version of his maiden Trot venture, “Look at Me, Gwisoon!” YGEX went all out for this release, producing a video that allowed Daesung to showcase his comedic side while featuring all the Trot tropes listeners know and love: a bright yellow suit, greased hair, cheesy dance moves, exaggerated crying, Daesung dressed as a baby, and of course, beautiful women. The Trot/Enka album itself ranked #1 on the Oricon weekly album chart, and has sold over 68,000 copies since its release, proving Daesung’s Trot prowess. On a more serious note, Daesung’s venture into the Japanese market was born more out of necessity than desire. Unfairly so or not, Daesung’s image in Korea is still negatively impacted by his involvement in a car accident in 2011 that resulted in the death of a motorcyclist. Although Daesung returned with Big Bang for 2012’s Alive promotions, his solo activities in Korea all but ended after the incident. Although there is no denying that fans definitely miss Daesung in Korea, Japan has been a beneficial breath of fresh air and outlet for the multi-talented entertainer. Since Big Bang had been promoting in Japan for years before the accident, the country would be a natural choice for Daesung to pursue a solo career outside of Korea. So far, it’s proven to be a wise choice for both Daesung and YG; especially while Big Bang group promotions have been limited to their Japanese Dome Tour. In Japan, Daesung has been able to explore music styles independent of Big Bang’s sound, including rock, ballads, and Trot (although he is still marketed as “D-Lite from Big Bang”). He has also been able to guest on multiple variety shows and continue to showcase his wonderful comedic timing. It’s certainly amusing that while his bandmates are attempting to push further into the global contemporary music scene, Daesung is taking a step way back into a genre of music that has been popular in Korea and Japan since the mid twentieth century. Trot, derivative of Japanese Enka, may have been Korea’s original form of popular music. While Trot and Enka are not identical, they are both genres born of Japanese colonialism, deviance from the pentatonic scale, and global musical influences. This explains why “Look at Me, Gwisoon!” was able to translate into a Japanese Enka hit. Yes, it’s the kind of music middle-age folk listen to, but it’s also a genre so familiar that it’s difficult to imagine it ever losing popularity. Since Trot is a constant in Korean culture, it is not uncommon for K-pop to feature Trot sounds, or even for idols to dabble in the Trot market. In fact, Pledis Entertainment recently announced that After School‘s Lizzy will make a solo Trot debut in 2015. While it is definitely not K-pop — and Daesung is sorely missed in the domestic K-pop scene — Daesung’s latest musical endeavor is an enjoyable contrast to the more cringe-worthy recent releases of his bandmates. Yes, it’s ridiculousness at it’s finest, but Daesung has one heck of a Trot face (you’ll know it when you see it), and he’s having so much fun it’s hard to not smile along.